Five in a row! The Bundesliga’s most successful club set the record for consecutive titles last season and are favourites to extend their run this time around as well. The biggest, the best; FC Hollywood is the nickname the fans embraced with the team full of stars and living the dream. But just winning isn’t enough! There must be swagger and style for the passionate fans of the Allianz Arena. Hearts are worn on sleeves and the dedication of the home supporters will make the hairs on your arms stand on end; it’s that spine-tingling of a moment. The fans and players love being champions of Germany but it is the Champions League they crave. It’s been four long years since Dortmund were beaten at Wembley and watching Real Madrid treat the trophy as their personal belongings hurt. Not even always beating Arsenal 5 – 1 brings enough joy to wipe away that pain. And on a great European night, the Allianz comes alive as the ball scythes through the oppositions team, sucked into the net by the raucous support. 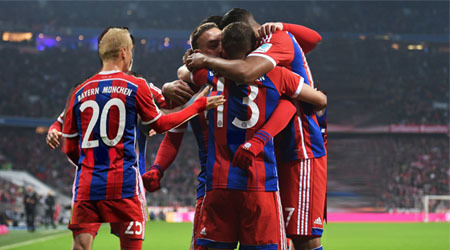 A trip to Bayern must be on every true football fan’s bucket list and we can make it happen at Wow Tickets. 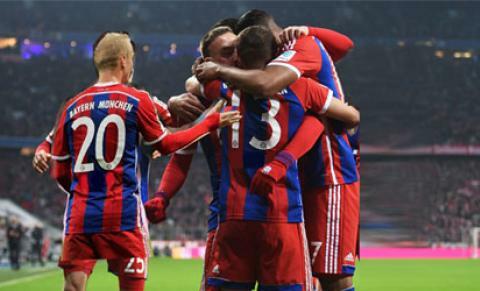 Buy Bayern Munich match tickets and with 100% confidence thanks to our money back guarantee. Seats vary from cheaper single tickets, to premium and VIP seats (side by side). Here at WoW, we aim to provide you with the best service.